The decision to bring a child into your home through adoption is an admirable one, but unfortunately, the adoption process can be long and confusing. This is especially true when it comes to adopting from abroad. Before you jump headfirst into the international adoption/intercountry adoption process, it is useful to keep the following things in mind. There are three sets of laws that govern the international adoption process: U.S. federal adoption laws, the laws of the country from which you wish to adopt, and the laws of the state in which you live. Knowing these laws and what they mean will save you time and guard against setbacks later. For example, many African countries require that prospective parents live in the adopted child’s country of origin for some period; this requirement often dissuades potential parents from continuing with the process. It is also worthwhile to note that a couple of countries, namely Russia, have banned the adoption of children by U.S. families. The United States itself has suspended its adoption relationships with Guatemala, Nepal, and Vietnam. 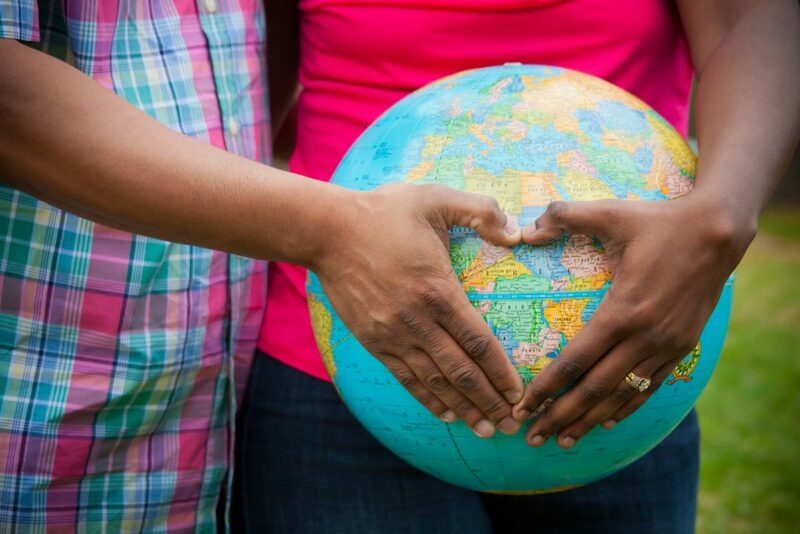 Undoubtedly, the international adoption process is convoluted and overwhelming, but making yourself aware of each step along the way can streamline the process. According to the State Department, the international adoption process usually begins with selecting an adoption service provider. Then, after gaining approval to adopt, you are matched with a child. After being matched, you apply to obtain legal custody of the child and for his or her visa to come to the United States. If all those steps go smoothly, you can bring the child back to America and become a family. This process is explained in more detail in a report released by the State Department and on the Department’s website, adoption.state.gov. Hague adoption refers to following the guidelines set by the Hague Adoption Convention, an international treaty with the purpose of protecting all those involved with the intercountry adoption process. If you filed forms I-600 or I-600A before April 1, 2008, you are exempt from adhering to the rules of the convention. Otherwise, a prospective parent will fill out the I-800 and the I-800A forms and adhere to Hague rules. More information regarding the Hague process is available through U.S. Citizen and Immigration Services. One common mistake that families entering the international adoption process make is relying on their adoption agency to handle the entire process. Unfortunately, many families do not realize that adoption agencies cannot provide legal services or represent you before USCIS, if necessary. For this reason, it often suggested that families seeking adoption hire a lawyer, in addition to selecting an agency. The difficulties do not end once the child has made it to the United States. Many children experience profound grief at losing their caregivers, friends, or family from home. Additionally, some children may experience developmental delays due to lack of interaction or stimulation. Knowing what signs to look for and how to communicate with your child can help with his or her transition. Finally, try to learn about your child’s heritage and culture and incorporate that into your home. This will help your child feel more comfortable. There are several other factors to consider, but overall, the key to a smooth post-adoption period is recognizing your child’s difficulties and making yourself available to him or her during his or her adjustment.